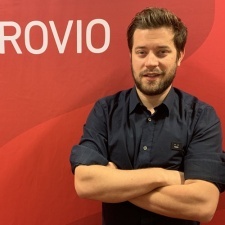 Ex-Flaregames head of PR and influencer relations Jon Howard has joined Rovio. He’ll be taking up the role of head of communications and PR at the Angry Birds developer. Howard will be responsible for driving the company’s external communications roadmap for the year ahead. He’ll report to Rovio chief marketing officer Ville Heijari. The studio is also close to hiring another communications specialist to support internal and external comms. As well as working at Flaregames, Howard previously worked at Nintendo of Europe as lead PR product strategist. He joins Rovio ahead of the release of The Angry Birds Movie 2 on August 16th and off the back of a stellar year for the company's flagship game Angry Birds 2. “It’s set to be a very active year and we’ve a lot of stories to tell, not least around the mega milestone that is the Angry Birds 10th anniversary,” said Heijari. Howard added: “Considering how the company has grown over the years, the enormity of what has been achieved is a remarkable story. “With that in mind, I’m proud to be a part of celebrating this company’s incredible achievements, but more importantly, I'm looking forward to driving the PR narrative around Rovio's bright, fun-loving future."